In November 2008 I made my first trip to Guatemala on a mission to discover what I called a "bigger and badder" meaning to cause related work. Having spent 4 years in the non-profit world working to better my local community, I was ready for something on a more grand scale and thanks to a beautiful and special friend I found what I was looking for within the walls of a small makeshift school. IIK-Luna is a small organization that promotes and supports the growth of indigenous women and children within Santigo Atitlan. 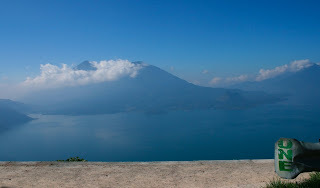 The town is situated amongst grand volcanoes and the majestic Lake Atitlan. Local Mayan culture runs deep within the community that is not only seen amongst the people but also through their rich colorful art. Unfortunately, this town has seen many sad occurrences over the years that has left a large part of the community living in severe poverty. The founder of IIK-Luna is a strong Mayan women who felt compelled to turn her home into a two part organization: One side promotes and teaches women to overcome difficult circumstances the other side takes in children ages 2-15 that are living without homes and sometimes without parents. The school had only been opened for a year when I met Elena and the children in a small desolate classroom. To my amazement Elena had taken 60 children within that year that suffered from malnutrition, little education, severe social skills and barely spoke into a classroom of smiling and singing children. After meeting with them for less than an hour, I knew this is what I had been searching for and that I had to be part of this...I would dedicate myself to helping them anyway I could. 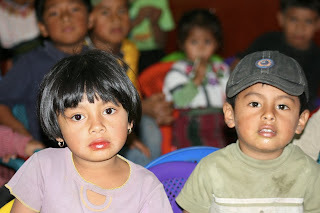 And that's how I came to create the "Amigos de Atitlan" (Friends of Atitlan), a project that connects these children to those in the USA through various activities and donations. These children can have and should have the same opportunities that every child in world deserves, so through Pen Pal projects - connecting them with kids here in the US through art letters, school supply donations, new shoe donations and fund donations, it brings those dreams a little closer to the class of IIk-Luna. Thank you for taking the time to read about my project....if you would like to help, please feel free to make a donation through PayPal or email me at hazel_arce@hotmail.com.